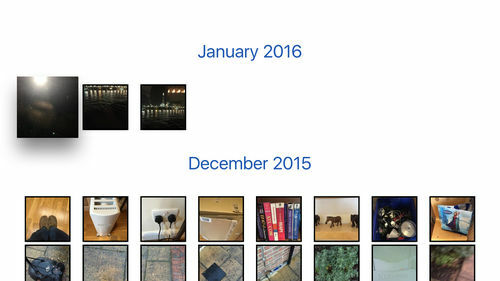 Recently I've just published an Apple TV (tvOS) App to view photos stored on Microsoft OneDrive. Implementing this on tvOS rather than iOS presented one unique challenge. 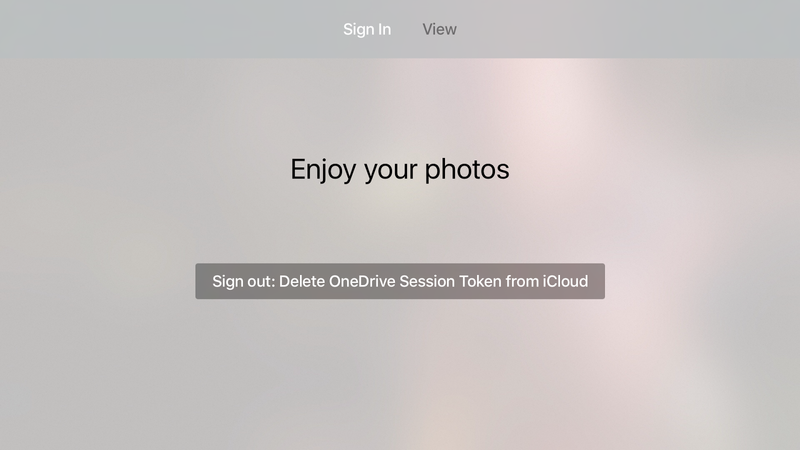 The OneDrive REST API requires OAuth2 authentication in order to obtain an OAuth token which is then used for all the other calls. Normally (well based on my limited experience) OAuth within Apps is handled by using a UIWebView along with delegate code that performs the OAuth handshake (image linked from IBM). tvOS does not contain any form of web view, i.e. no UIWebView and no WKWebView (not that it would be that much use due to the lack of hooks). 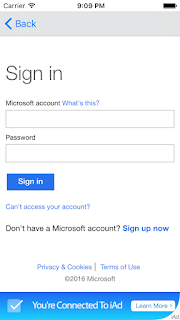 As the actual authentication is performed within the UIWebView by the authenticating 3rd party (Microsoft in this case requiring the user logs in with their Microsoft Account credentials) there's not a lot that can be done without it. When written this is usually synchronized to iCloud very quickly. 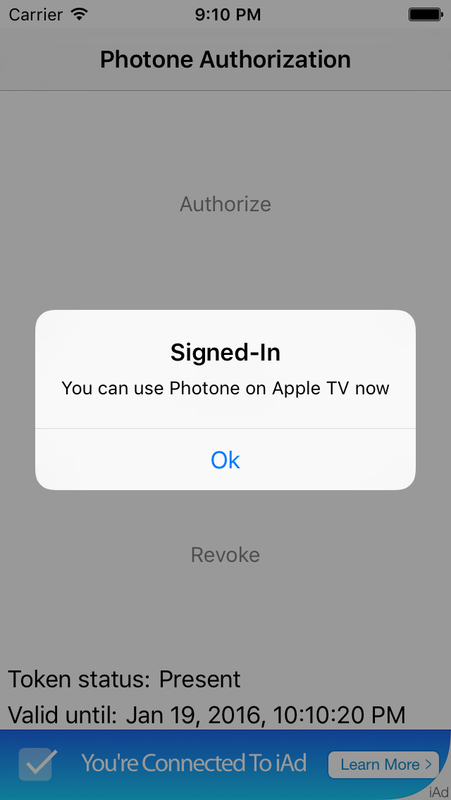 On the other side the tvOS app reads the iCloud KeyValue Store checking to see if the OAuth token exists. If it does then it can continue as per any other App that has successfully performed the OAuth handshake. I believe that iCloud Storage and the process of writing to and reading from iCloud is secure. This is important as following the handshake the OAuth token acts effectively as a password. 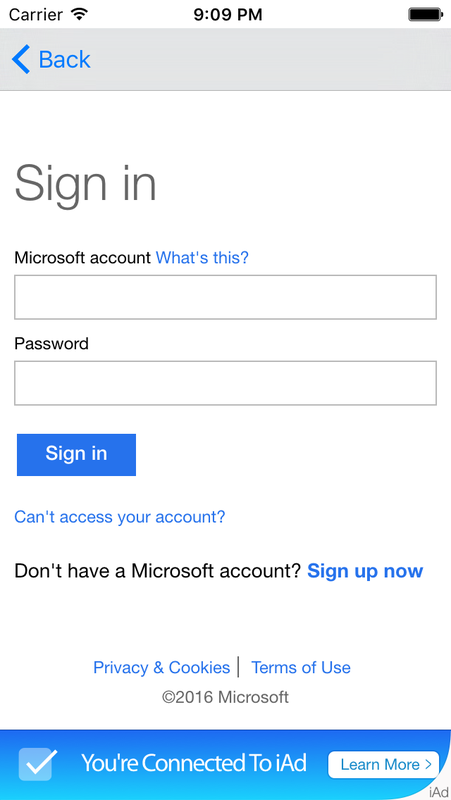 Each token obtained from Microsoft is valid for one hour so after that the user needs to perform the authentication from the iOS device again. It is possible to request an OAuth refresh token which allows a client to update an expired token as long as access to OneDrive for the App has not been revoked. However, I prefer to err on the side caution at the moment. 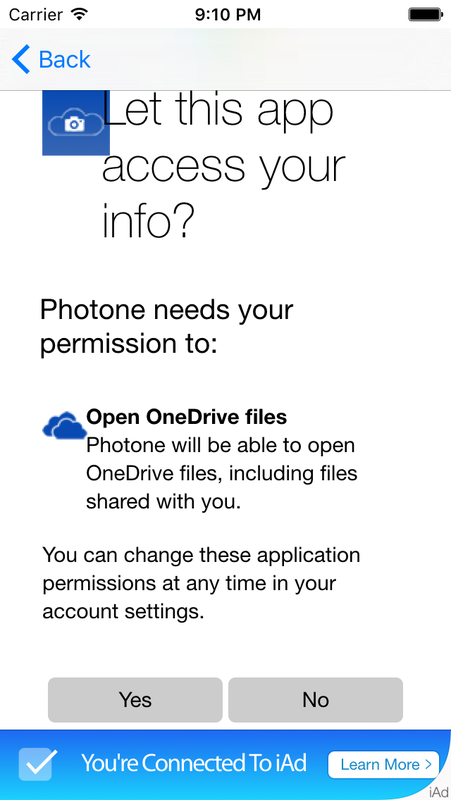 I also only request read-only access to OneDrive as well. For this to work the same user (Apple Id) needs to be logged into both the Apple TV and the iOS device as the same user and additionally be signed into iCloud on these devices. From a programmatic perspective both Apps need the iCloud capability enabling but only Key-value storage. In order to establish whether the user is currently signed in to iCloud and any changes (signing in & out potentially as a different user) whilst the App is running. 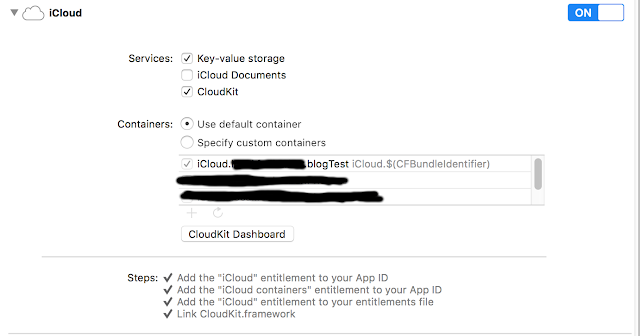 Enabling this automatically creates an Entitlement file (named <AppName>.entitlements) and within it creates Key confusingly called 'iCloud Key-Value Store' with the default value of '$(TeamIdentifierPrefix)$(CFBundleIdentifier)' - this is not the key to access values you store BTW but is just the iCloud KV configuration. This will happen for both the iOS and tvOS Apps. NOTE: The two collapsed keys are as a result of enabling CloudKit. For both Apps to have access to the same iCloud Key-Value storage the results of expanding the ''$(TeamIdentifierPrefix)$(CFBundleIdentifier)' macros needs to be the same. For my App I've created a single App that has both an iOS and tvOS component so their CFBundleIdentifier is the same. The TeamIdentifierPrefix is taken from your Developer Apple Id. The first part of the value has to be $(TeamIdentifierPrefix) as in order to make the KV Storage secure this value forms part of the signing process. If you replaced the whole value with say 'BOB' then it won't build properly. 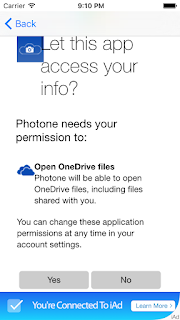 As such it's possible for all your Apps (published from the with the same Apple Id) to share iCloud Key-Value Storage contents. This example reads & writes a dictionary as I needed to set store a set of KV Pairs (a dictionary) as the value of a single KV-pair but fundamental data types can be stored directly too. When starting the App, according to the docs it is important to call synchronize method to initiate timely iCloud synchronization. 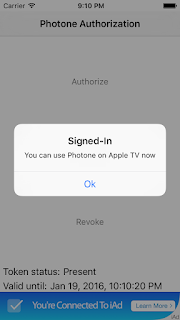 When the tvOS based Apple TV was first released there were various articles about how to enable users to login to their accounts for certain apps. 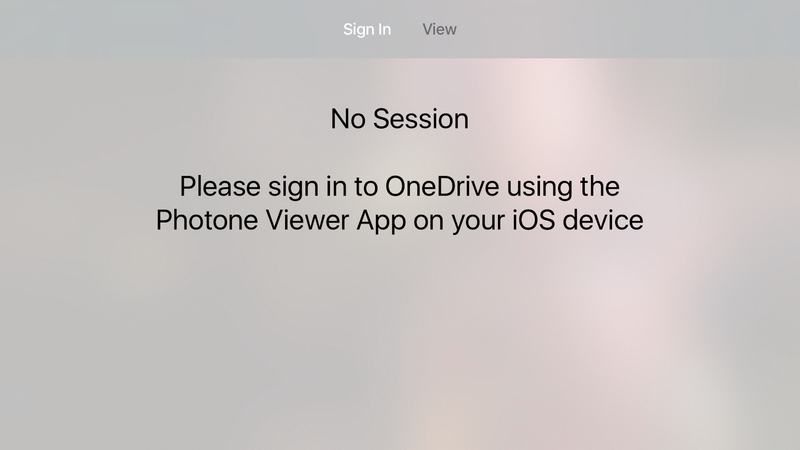 These often involved similar configuration requiring the user to use an iOS device to input a string of numbers presented by the tvOS App. However, this solutions was usually for Apps that managed their own accounts. This solution is similar in that solves the cumbersome entry problem but also enables the use of browser (UIWebView) based OAuth2 on a device that directly support it.